" Working with the Sutton Law Center is always such a pleasure. Not only were they extremely thorough with our estate plan, but they helped to guide us toward working with our financial advisors and tax attorney. It's a great feeling… [ Read More ] "
" Just wanted to say thanks for all the help! Everyone at Sutton Law is so easy to work with! The two contracts and a copyright infringement letter your team wrote for me were great and you are making the corporate… [ Read More ] "
" Over the last twenty years, Garrett Sutton’s Sutton Law Center has supported the work of the American Baseball Foundation, Inc. as it has assisted thousands of under-served children redress summer learning loss in reading, math and sport-skill. 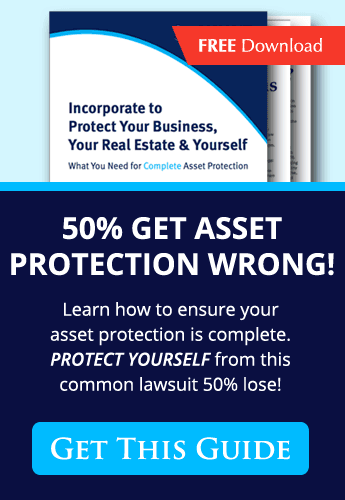 Sutton Law Center’s… [ Read More ] "
- David Osinski, June 28, 2014, E. David Osinski, Executive Director American Baseball Foundation, Inc.
" Garrett Sutton is my corporate advisor for asset protection and privacy strategies. I highly recommend the services he and his staff at Corporate Direct provide. My Rich Dad always said to control everything while owning nothing. Garrett and his team… [ Read More ] "
" Sutton Law Center made it so easy for me during a stressful time. You took care of all the paperwork and filing and all I had to do is sit back and wait for my corporation papers to come in… [ Read More ] "
- Johnathan Flores, April 18, 2014, President, Flores Group Publications, Inc.
" I would just like to thank Mr. Sutton for putting together this network. It has been invaluable for my sister and I in accomplishing our entity formations. Having one source to go to for our legal and accounting needs has… [ Read More ] "
" I just wanted to say that I am halfway through ‘How to buy and sell a business’ and I can’t emphasize enough how much of a great resource this is. One can hear the voice of experience in your writing,… [ Read More ] "
" Mr. Sutton, thank you so much for writing ABC’s of Getting Out of Debt! My wife and I have been struggling with finances for some time and need a reliable and honest way of getting out of debt. Your book… [ Read More ] "
" I am looking to do business online. I need a business name and tax ID to deal with the wholesale suppliers. I am also looking to acquire a property for cash flow. I want to protect this asset. I have… [ Read More ] "
" “I just want to take this moment to Thank You for the great Books that you have written. I finished reading the Own Your Own Corporation and The Abc’s of Writing Winning Business Plans. You really gave me an ephiphany… [ Read More ] "